Jane Anne MacDonnell was a composer who lived in Westport in the mid 1800s. Her recently rediscovered Clew Bay and Croagh Patrick Quadrilles were composed in 1865. Dedicated to the Dowager Marchioness of Sligo, the five Quadrilles are named for islands in Clew Bay – Clare Island, Inishturk, Inishbofin, Achill Island and The Scotch Bonnet. The last is a small island in the inner bay better known today as Scotsman’s Bonnet. The Quadrille was a popular dance at the time and given the dedication, it’s not to fanciful to imagine couples in Westport House dancing to these local tunes. Jane Anne died in 1903 and according to her obituary she lived in Thorn Hill, Lecanvey. Emerging young composer Richard Hughes is showcasing two original compositions. The first, entitled “An Shraith Thiar - The Western Suite”, was specially written to celebrate Westport 250 and is dedicated to the town. The music touches lightly on Irish musical features and also incorporates 20th and 21st century styles. 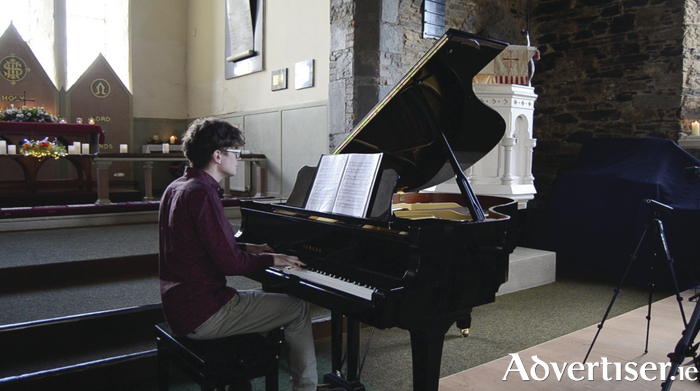 The second is “Variations on the theme - Amhrán na bhFiann” which was composed for the 1916 centenary. It consists of eight variations. Richard Hughes is the son of Harry and Deirdre Hughes and is currently studying Music and Mathematics in Trinity College. He is a member of the Irish Composers Collective. An exceptional night’s entertainment not to be missed – a combination of old and new music performed and presented by a truly talented Westport musician. Tickets are available from Westport Town Hall call (098 ) 28459.